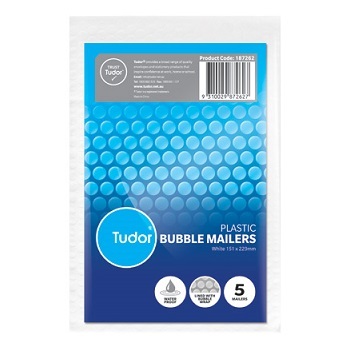 Tudor Plastic Bubble Mailing Bags ensure your items can be sent in a safe and secure manner. Heavy duty, bubble wrap lined mailers which are tear resitant and waterproof. Pack of 5 White Plastic Envelopes with a Peel-n-Seal closure. 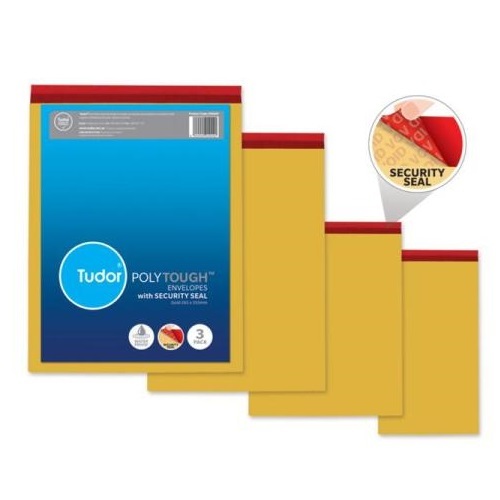 Tudor PolyTough Envelopes with Security Seal are ideal for sending confidential documents such as cheques, evidence or classified information in the mail. Made from a polypropylene synthetic film, the envelopes are moisture and tear resistant. Pack of Gold Envelopes with a Peel-n-Seal closure. Available in a range of sizes in convenient packs.